Report Card reading weekend is upon us and as you can imagine with this volume of reading, I can’t help but be inspired to write. Each time I start to read a set of reports, I can hear my dad’s voice, “I feel sorry for the students at the end of the alphabet. By the time you get to writing/reading their reports, all of your quality comments are dried up”. So when my niece named her first son Zaine Zavitz, after appreciating the alliteration, I immediately recalled my dad’s observation and had to smile. As I pay homage to my dad’s reflection, I always flip every other class set of reports and start with those students at the end of the alphabet. So, with my flipping in motion, a well-lit comfy spot and a bottomless cup of tea, I dove into this term’s set of reports. But beyond physically how we read reports, I can’t help but wonder if philosophically “how” we read reports also differs. 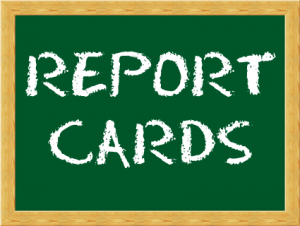 When I reflect on my role as a report card reader, I will be the first to admit that I read each and every report and it’s not as a proofreader. Although years ago, I was happy when I caught a “Booby” in place of a “Bobby” hiding in an impeccable set of reports. Years later, Carolyn Natterer and I still laugh about that one. 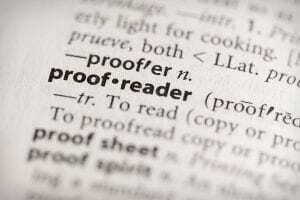 If I catch a typo, I certainly note it but that’s not my main focus when reading. ~ honour the incredible amount of thought and dedication that our staff put into crafting them. I work with a Crew who wants to hone their writing ability and to ensure that they are reflecting the components of a Ministry and Board supported report. ~ ensure that any colloquialisms which may be misunderstood by families whose first language is not English are changed to language which is more easily understood. ~ gather data to support school improvement planning. Each time educators articulate student learning by including “bench marks”, “decomposition”, “representation of numbers” or “Number talks” within their reports, it reaffirms that our educators are not only teaching those strategies, but that they can articulate their impact within assessment. This is important information to include on our road map. Sometimes I feel that we have yet to explore the importance of including assessment information with our school improvement process. ~ see if our school’s vision of “Coyote Spirit”, “Caring Coyotes” and the importance of kindness are embedded in our vernacular and important enough to include in formal reporting. ~ provide suggestions as to how to ensure a positive tone in all comments. The advantage of reading over 1000s of reports during my admin career has afforded me the gift of learning from so many educators. Most times I feel as if I am a “Connector” as described by Seth Godin ~ sharing well-crafted comments between open minded educators. And finally and most importantly I read reports to celebrate the learning of our students. I love reading how well our students are doing and how intentional and meaningful our educators’ next steps to support learning journeys are written. 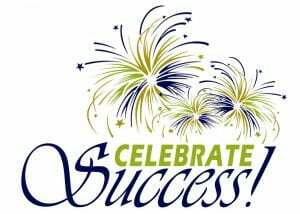 I find myself making side notes to ensure that I take the time to touch base with those students to share my congratulations in their successes. We know from all of our research that assessment is the cornerstone of student achievement. We need to remember that we must be able to dig deeper than just providing quality diagnostic, formative and summative assessments. We need to be a community of educators who know how to effectively articulate (both formally and informally) our assessment practices and how it impacts student learning. We know that our students benefit greatly from feedback. Should we not afford our educators that same gift? As an instructional leader, how do you support report card writing in your school community? past 3 #oneword selections. In 2016 my selected word, “Unwritten” was inspired by a Natasha Bedingfield song which was showcased at church one morning and immediately made an impact. January 2017 was when I found out that I had been selected as the administrator to open a brand new school, so “Imagine” became my mantra through hundreds of decisions. 2018’s word was “Courage,” which started as a professional battle cry, but within a month became a personal mantra as I worked my way back to strength and mobility. So, after much deliberation, I’ve decided to select “Present” as my word for 2019. I love the English language, especially when the same word has multiple meanings ~ and “present” is one of those such unique words as demonstrated in this classic clip from The Big Bang Theory! In the upcoming year I want to ensure that I am intentionally “present” for all of the wonderful individuals in my life ~ both personally and professionally. May I continue to remember to leave the tasks on the back burner and the talks with others front and center. Over the past several years I’ve learned that I’m most fulfilled when I’m invited to “present”. Whether it’s to share a meaningful Read Aloud with a class or a Number Talk. Whether it’s leading a discussion with new administrators or teacher candidates. Whether it’s facilitating PQP modules or travelling to the Dominican Republic to work alongside of our DR mentors. In the upcoming year I want to ensure that I continue to seek out new and purposeful opportunities to “present”. I’m very excited about the upcoming year ~ many magnificent events in the works. 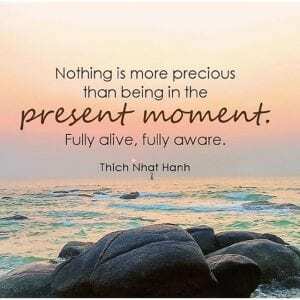 With all of the potential celebrations, I need to continually remind myself to slow down, breath and enjoy the “present”. In the upcoming year I want to ensure that I remember to appreciate the present and not wish it away. And finally, in the upcoming year, I want to ensure that I’m cognizant and open to the “presents” which may at first be disguised as challenges, disappointments or forks in the road. So, here’s to 2019 ~ May it be filled with many presents; enjoyed in the present by being present! Have you selected your #oneword for 2019? Today was the final day for our PQP 2 course through OPC. I had the absolute pleasure of learning alongside of 11 candidates who brought passion for the work, commitment to improving their craft and a genuine desire to create a professional learning community each and every time we came together over the past 12 weeks. As a result of the current state of leadership in our school board and other school boards, there has been a shift in the journey of the candidates who are now taking their Principal’s Qualifications courses. Not too long ago, the majority of the participants were individuals who were considering transitioning into formal leadership roles sometime within their future. Today, the majority of the participants have been on a treadmill of courses and are already in acting or in some cases formal VP roles. They bring a lived experience to each module which enriches the conversation each and every time. That wealth of experience shifted my role as the facilitator. I found myself truly learning something new following each module. We had a lens into the inner workings of 11 different schools and were privy to tough decisions, delicate situations, humourous scenarios and heart-warming narratives involving students, staff and families. The group presentations were outstanding and the Book Talks were engaging. As a result of being in the audience I have added so many new tools to my leadership toolkit. One of the participants is currently sitting the same VP chair where I started my admin career. I loved hearing about the culture of the school ~ how some of the pieces that we put into place 14 years ago are still alive and well and meeting the needs of the current student body. Other participants are now supporting staff members whom I’ve worked with in the past. Catching up on their stories made for some interesting conversations. For most modules we invited guest presenters (Superintendents with responsibilities for Human Relations, System Staff Development, Safety Specialist and a panel of experienced VPs) who shared current practices and a variety of anecdotals. Our panel of experienced VPs brought incredible depth, honesty and humour to the discussion. Their individuality was apparent, but their shared sense of passion for the role rang through loud and clear. One of the phrases used to describe our role was that we have the responsibility for “stewardship of people”. I love what that entails. The selection of topics for PQP2 is intentional and structured in a way to elicit rich dialogue and hopefully align with what school boards are expecting of their administrators. For the most part that alignment was evident and we found ourselves reassured in the work that we’re doing. However, at times, I found myself wondering if our system folks who are responsible for New Admin have access to the information in the OPC modules and if there is a deliberate plan to ensure that our school leaders are being provided the same guidelines. The job is challenging enough ~ we MUST ensure that we all believe and support what the heart of our work is. There have been many times over the past 6 weeks that I’ve been proud of our board (for the alignment) and a few times that I’ve walked away wondering about the reasons for perceived misalignment. As with all rich professional learning which leads to a renewed sense of curiosity, my next leadership move as an OPC instructor is to explore more deeply the messaging that is coming from our system and how it aligns with what our provincial council has identified as what our work should look like. 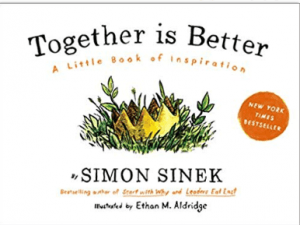 As we said our final farewells today, I gifted each participant with a copy of Simon Sinek’s, “Together is Better”. I received a copy of this book from a treasured colleague and love sharing it with others. 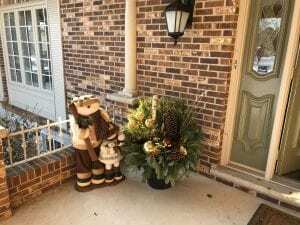 The group then demonstrated their gratitude with a gift certificate, a donation to the Food Bank and a lovely holiday floral arrangement complete with golden pine cones. 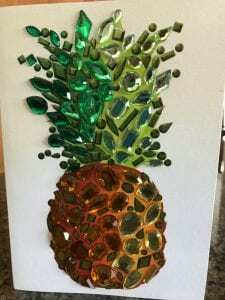 The card was adorned with a sparkly pineapple ~ which symbolized a form of Professional Learning that we had discussed over the past few weeks. Although I’m looking forward to sleeping in on the upcoming weekends, I can honestly say that I will miss the fellowship, the discussions, the debates and the rich learning that has become a mainstay for the past 12 weeks. Thoughts about alignment with PQP and current system messaging? One of the promises that I made to myself when I made the decision to transition from a system role back to a school was a commitment to ensuring that both Literacy and Numeracy would be equally highlighted, celebrated and supported at Sir Arthur Currie. I firmly believe that a skilled, caring educator has the capacity to create both an engaging literacy experience for their students through the selection of a powerful text and memorable activities as well as an exciting math experience through well-crafted tasks, access to math tools and everyday applications. The similarities between the pedagogical moves for both subject areas far outweigh the differences when we dissect what quality instruction looks like. The other promise that I made was to spend as much quality time in classrooms as possible and to continue to hone my practice as an educator. In the fall I set a goal to share a special Read Aloud in each class by Thanksgiving. I absolutely LOVE reading to classes. I’ve learned a great deal over the past number of years about how to effectively share a story ~ when to stop and ask a question, how to engage the listener and what are the salient parts that need to be recognized. The Friday before Thanksgiving I read a book to the final 7 seven classes and my goal was met. For my next goal, I decided that I wanted to lead a Math/Number Talk in each of our 24 classes, for my own learning. It’s been 15 years since I had my own class and math instruction has radically evolved of late. As I shared with the students when I visited each class, back in the day my math class was usually the quietest class of the day. 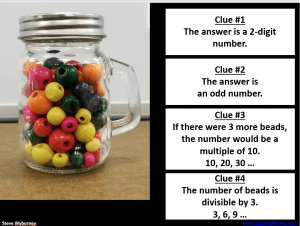 I would demonstrate the lesson, a few students would try a question or two and then the remainder of the time was spent with independent practice based on questions from the text book. 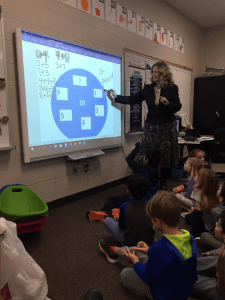 In knowing that one of our strategies on our school goal relates to students’ articulating their math thinking through number talks, I decided that I needed to have first-hand experience. I created a set of Number Talk tasks for learners from K-8, discussed them with our Instructional Coach (who provided me with my additional guidance), downloaded them to a jump drive and set off to visit each class within this past week. I was very honest with the students and shared that I was learning how to lead a number talk and needed their help. It quickly became evident that Number Talks are an everyday occurrence in all classes. I was overly impressed with the high level of participation, the number of strategies that students used to determine “Which One Doesn’t Belong”, the mystery pattern, balancing the mobile or the most popular task, Esti-Mysteries and their active listening to each other as they shared their thinking. I was thrilled that Steve Wyborney’s Esti-Mysteries site was a new one for our SAC Crew. They are such a superstar team ~ it is rare that I stumble upon great finds before them. There’s something powerful about setting and meeting goals, but it was far more powerful to see the excitement, participation and depth of thinking that our students demonstrated with each Number Talk. I found myself gaining more confidence with each class. The intentional questions, which open the conversation to multiple strategies, seemed to flow more naturally and I found myself genuinely loving each experience. Now on to the next goal!! 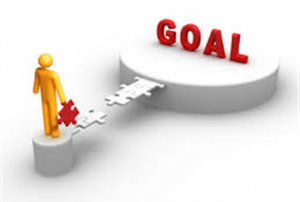 What goals have you set? 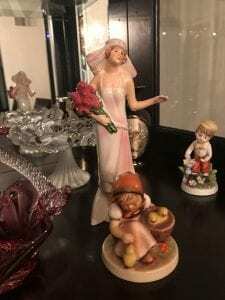 Come write with me…. On so many occasions, I’ve found myself greatly disappointed when viewing a film adaptation of a favourite book. For a variety of reasons; the suspense, the anticipation and the emotion do not always erupt from the screen with the same vigour that they do from the pages of the book and hence the author’s message is diluted or even lost. It became evident, within minutes of this movie, that the raw emotion intended for the reader was about to become a reality for the viewer. I found myself chocking back the tears as I watched Julia Roberts, in the role of Isabel ~ Auggie’s mom, struggle with the decision to send him to school. Just last week I had a conversation with one of our K educator teams, following our “Welcome to our World of Learning” night, where we invited families to come and share their child’s learning journey to date, and they shared that the number one question from families was, “Do they have friends?”. Isabel, just like the rest of us knew what was about to happen to Auggie as he walked through the halls and into his class for the first time. Oh how we wanted the rest of the students to be kind, caring and inclusive from the beginning ~ but the realism of the story took us, the viewers, on that journey along with Auggie and his family. We needed to live through all of the hurtful actions, averted eyes, unkind classmates and ignorant adults along with Auggie in order to truly appreciate his story. Throughout the journey, I was not always successful at choking back the tears and they freely flowed as each character’s story unfolded and we learned their lens on the shared experiences. 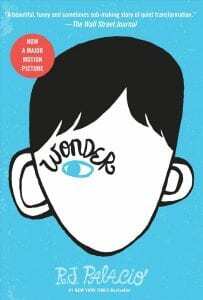 Although most of the time my heart was breaking for what Auggie and the other characters were going through, there were moments of immense pride as the educators portrayed in the story were doing all of the right things. Mr. Brown’s precepts were thought provoking, with a definite intentionality and he knew how to involve students without embarrassment or discomfort. As for the principal, Mr. Tushman, I cheered as he dealt with Julian’s parents. One of my favourite quotes was shared during that scene, “Auggie can’t change the way he looks. Maybe we can change the way we see”. It is such a simple, yet important message. We can ALL choose how we see situations, behaviours, others, etc. My staff would be the first to share that I’ve provided examples of many alternative activities to engage in with students in order to avoid watching full length movies during the instructional day. This movie would be my one exception. I would love for all of our students to have a guided viewing of this movie. There are so many pivotal moments to stop the action and discuss how the characters are feeling; to encourage students to change the trajectory, to make a personal connection or to articulate the value of seeing the same storyline from different perspectives. I can’t help but WONDER if more of our students can relate to Auggie than we know about. 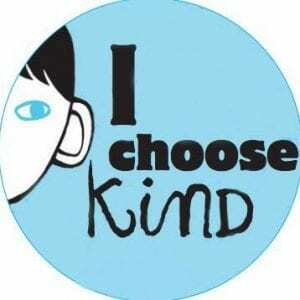 One does not have to have a facial deformity to be a victim of unkindness and a school does not need to have a student with a physical deformity to appreciate the need to al ways be leading with kindness. This morning as I laughed my way through it, I found myself listening with new ears when Mr. Carlson, with Herb at his side, reappears at the doorway of his office, disheveled by the attacking turkeys, and he states, “As God is my witness, I thought turkeys could fly”. Mr. Carlson was acting with the best of intentions. He wanted to prove his worth to his younger colleagues and in doing so, he came up with an idea that he thought would bring fame to his radio station. He planned out every detail, including an element of surprise ~ only to fail at the final implementation (knowing that turkeys don’t fly). How many times as educators have we come up with an idea that we were sure would hit the mark with our students, only to watch it fail desperately? I know that in my career, I’ve had many ideas that looked great on paper, but failed desperately in the execution. Mind you, I have yet to harm any animals! Should we steer away from those lessons that are destined to make history for fear that they may fail? Definitely not! I continue to be amazed and proud of those educators who put themselves out there, day in and day out, fearlessly trying to create a memorable learning experience for their students. Watching educators recover from a failed lesson is a lesson in and of itself for our students. We learn so much from watching how others recover. When was the last time you tried a lesson that you thought would make history? Did it fly or fail? From my family to yours ~ Happy Thanksgiving ! This morning, I attempted my second bike ride since my skating accident which occurred 6 months ago. Following the accident (which resulted in a broken femur) I was surrounded by knowledgeable others who continued to share with me that my recovery was going to be long and strenuous. I, being stubborn, refused to listen and assumed that once the needed hardware was in place and the bone healed back to what it should look like, I’d be as good as new. What I had not anticipated was the fact that as my leg was recovering, the rest of my body needed to compensate for the less than fully functioning appendage. 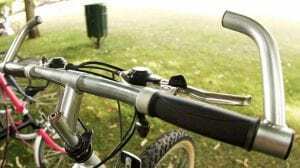 On a regular basis, that compensation caused pain for many of my regular physical activities, such a navigating stairs, lifting groceries, getting in and out of the car and walking for any length of time. Needless to say, other than stationary physio exercises, I’ve been less than physically active for the better part of 6 months. So today’s bike ride (which may have seemed like a recreational ride for many) was fraught with fear of falling from going too quickly and losing my balance and trepidation as I ventured towards the inclines. I even gave myself a pep talk and insisted that I would ride the whole way and not get off and walk up the hills. Along the route as I needed to adjust my speed or my tension, I was so thankful for the gears on my bike. They allowed me to maintain my desired state (on the bike) and work towards my goal (heading in a forward motion ~without falling off). The gears leveled the playing field for me. Other talented, stronger individuals may not have even used them or they may have used them at different intervals and for different lengths of time along the very same route. Needless to say, without those gears, my ride would have been unsuccessful. As the ride continued my nerves calmed and my confidence increased and I started to think about tomorrow ~ the first day of the 2018/2019 school year. Tomorrow we will be welcoming a variety of students to Sir Arthur Currie. Some of them we know very well and they will be ready for the start of a new year with great confidence. Others we also know very well and we know that new beginnings tend to require a softer start and additional support. We need to adjust our gears for those Coyotes. And for those students who will be brand new to us, we have yet to figure out what works best to support them. For some it may mean using Google Translate to level the playing field of communication. For others it may mean allowing them to self-select a spot in their learning environment, so that they feel that their needs for “movement” are being respected. And for others it may mean extra time and reassurance that their educator is there to support them (through all of the inclines and declines). Regardless of what supports are required, the one thing that I know for sure is that we will all adjust our gears as needed to ensure that all of us at SAC will maintain our desire state and work towards our common goal which is to have an amazing first day of school ~ followed by 194 more! How do you adjust your gears to support others? Come write with me…. 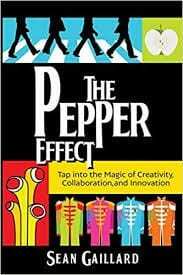 The final lesson from Allyson Apsey in The Path to Serendipity was to “Sing my Song loudly” ~ so what better choice as my next #summerread than to dive into The Pepper Effect by Sean Gaillard, and hum my way through numerous Beatles classics, picking up inspiring leadership moves along the way! Gaillard provides his readers with a lyrical approach to leadership which challenges the status quo and in turn provides a playlist for how to create a collaborative and creative school community. This leadership book is peppered (groan ~ sorry, couldn’t resist) with “Next Moves and Grooves” which cause the reader to stop and reflect on current practices as well as providing them with concrete examples of how to impact educators, students and school communities. The use of Twitter as a platform for celebrating learning, flipping a staff meeting into an EdCamp model, creative ways of collecting student voice and abandoning meaningless practices are but a few of the well-crafted ideas within this book. Although I appreciated the style of the book and it’s suggestions as to how to evolve my practice, I found myself drawn more to the story of the Beatles during their creation of their iconic Sgt. Pepper’s Lonely Hearts Club Band album and how it relates to sustainability ~ and ultimately to school culture sustainability. As I reread chapter 6, I made connections between the Beatles’ desire to depart from the very sound that had caused Beatlemania just a few years prior as they created this new sound and other musical groups. Didn’t the Beach Boys (Brian Wilson) make a similar move when they produced Pet Sounds ~ an album’s sound that was a huge departure from the “surfing sound” that the public had come to connect with the Beach Boys? This new sound was one which couldn’t be recreated live because of the unconventional mix of various instruments. The blending of both Eastern and Western sounds, along with unconventional instruments such as tissue paper, combs (Beatles) bicycle bells and Coca-Cola cans (Beach Boys) lead me to wonder about the importance of Global influences and trends which may initially be considered unconventional when looking for successful sustainability strategies for school cultures. “With a little help from my Friends” takes on a whole new meaning when you look beyond what your own school board is doing and embrace Provincial, National and International practices which are proving to positively impact both teacher efficacy and student achievement. 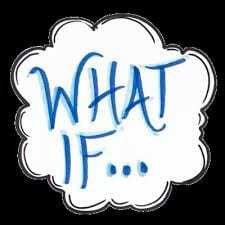 I couldn’t help but wonder ~ is the key to sustainability, the ability to “not” sustain the status quo, but to disrupt the very recipe that brought you success in the first place? Steven Katz and Lisa Dack who penned, Intentional Interruption would certainly have us believe that in order for organizations to move forward they need to disrupt the status quo for professional learning in order to influence teacher practice and subsequently student achievement. We will continue to ponder these ideas as we get set to embark on year 2 at Sir Arthur Currie. We’ve committed to veer away from a status quo mindset as much as possible in order to be “Getting Better” all the time. As many of my family and friends know, I’m a self-professed “Chick Flick” fan. There are a handful of movies that I’ve watched so many times that I can recite each line (which tends to annoy anyone who ventures into the family room while I’m enjoying one of my favourites). One of my best “gotta watch it whenever it is playing” movies is Serendipity with John Cusack and Kate Beckinsale. I think that it was shortly after my fifth or sixth viewing of that movie that the word Serendipity either chose me or I chose as my word. I use it on a regular basis to describe the indescribable, yet meant to be fortunes that tend to occur in my life. My friends tend to use is it in Twitter messages when they want to get my attention. 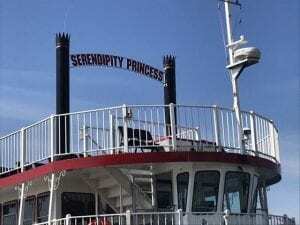 Case in point ~ last Tuesday a friend sent this DM, “Found your boat” ~ The Serendipity Princess”. My serendipitous reply, “Look at my latest Amazon purchase and next summer read”. So with great anticipation on the following morning, with a cup of tea on the arm of the deck chair, I cracked the spine of Allyson Apsey’s, The Path to Serendipity. Within minutes it became clear that this was not going to be a passive, cursory read for me. With mechanical pencil in hand, my notes quickly decorated the margins or any other available space. As someone who “reads with a pencil” I appreciated the blank pages at the end of each chapter. At times, my notes needed a different platform to percolate, so my newest journal adorned the other arm of the deck chair. 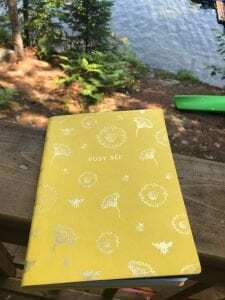 It wasn’t until the ninth step along the pathway that I realized of all of the journals that I have on the go, that today I chose this one, along with an encouraging message from a fellow educator. As the sun made its way from the dock, to the front deck, the side deck and finally to the point facing the east, I continued to follow Apsey’s path making endless connections to her work as a passionate educator. Other than the occasional refreshing dip in the lake and replenishing my ice tea, I didn’t stop until the final page. It is evident that within her 15 year career as a school administrator, Apsey has learned through trial/error and experience, some of the secrets that one can only hope that others will learn from ~ and hopefully early on in their career. At times, her turn of phrase reminded me of the best part of me ~ the part that I try to model on a regular basis. We all know the right words and how to use them. The key is to remember them in the heat of the moment, when things aren’t going the way we had envisioned them. I smiled as so many of the pages reflected not only my current path, but my current “resting spot”. Leadership is indeed a journey ~ and at times a long hard journey ~ but we must remember to stop along the way to rest, relax and reflect. It is during those times that our creativity blossoms. I was hooked (my ode to Dave Burgess, my favourite pirate) within minutes of the Forward. You’ve gotta love it when the guy responsible for Kid President starts out by making connections to Michael Jackson and his iconic moonwalk during Motown’s 25th Anniversary special. Just a month ago, I took my mom and daughter to see Motown, the Broadway show ~ which begins and ends with that very same moment in history. One might call this early connection to the book, Serendipitous. Then not more than two pages into the actual book, Apsey states, “Homework, don’t get me started”. I love this author already ~ we are kindred spirits. The topic of homework is one that is currently at the forefront of my thinking in terms of truly supporting our students and making the most of their time in our learning environments. I’ve been reading, posting and justifying oodles of tweets about this topic for the past several months. I appreciated Apsey’s honesty in sharing that it was Danielle Steele’s Zoya that helped her get through History in College. Until now, I’m pretty sure that I’ve hidden the fact that Danielle Steele was my #summerread long before we used hashtags to itemize our thinking and sharing. These days, thanks to my PLN of literacy experts my summer reads are somewhat different. But I’m sure that my years of Steele and Kranz have also impacted my leadership journey ~ just not sure exactly how! Although I connected to each step along the Path2Serendipty, I continue to find the Communication Balance the most precarious step for leaders. I love how Apsey encourages her readers to stop sandwiching feedback between positives. This chapter had me stop and think about whose emotions truly matter. Newsflash ~ not mine, but the receiver of the information. In my margin notes, I had written about how I had made a huge communication error in my first year as a principal. Instead of stepping up to the plate and asking a staff member to reflect on her attire, I shared that another staff member had brought it to my attention. We had tears, upset, anger and misplaced accusations. In my effort to soften the message, I created a terrible situation which to this day continues to remind me of what “not to do”. On the other end of the balance scale, I’ve witnessed leaders who cut to the core without any regard for how the message will be received ~ to the point of tears and causing educators to question their ability. I often wonder why leaders take such an approach. Is it a power play? Do they truly believe that their message will be heeded and acted upon with such an approach? Balance is the key! 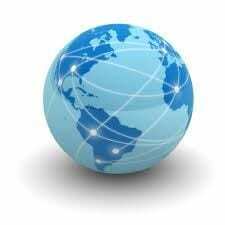 Like Apsey, I know that many of my thoughts, actions, ideas and invaluable resources are shaped by my global PLN. Many an article on Twitter has caused me to stop and reflect, “How might that work at SAC or within TVDSB?” Posting a controversial article, quote or statement opens the door to rich dialogue which forces me to justify and sometimes change my original thinking. I’m always evolving as an educator ~ my core stays the same ~ but the many pathways leading to it change, evolve and strengthen with each new experience, new acquaintance, new book, etc. Similarly to Aspey, George Couros has had an impact on my path to becoming a connected educator. Innovator’s Mindset is our current staff mentor text at SAC and we’ve invited him to speak in Thames Valley on a couple of occasions to both system leaders and our Learning Support Services staff. We use his visuals and quotes when meeting potential SAC Crew members during the interview process. (Crew ~ Yes, that’s what we affectionately call ourselves. So you can just imagine my ear to ear grin when Apsey recalls arriving at Quincy Elementary and receiving a welcome message from the Q-crew! ~ can I get another “Serendipitous”!!) I often tease George that years ago, when he was presenting at BITT, I actually left his session early to beat the traffic back to London. A mistake which probably slowed my trajectory towards being a connected educator by a few months. has become a landing spot for reflection on just about anything ~ including this latest post which tries to capture my strong connection to “The Path to Serendipity”. 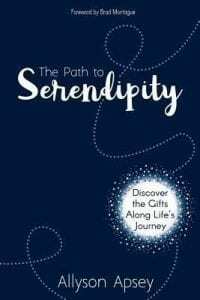 “Life is not merely a series of meaningless accidents or coincidences ~ but rather, it’s a tapestry of events that culminate in an exquisite sublime plan” ~ from the movie Serendipity.